Turn out to your favourite gym class with our Turnout Tights! 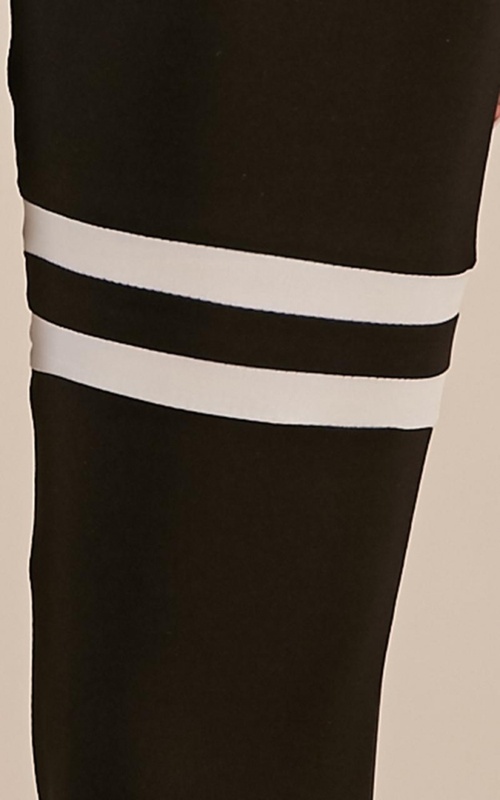 Featuring a cute pair of thigh stripes, activewear has never been so on point! Pair with your fave sneakers and knotted top to keep it cool and casual. Filter By Height: Show All 5'4" 5'5" 5'7"
See through and very long, I am normally a size 8 sometimes a 10 in pants but these are huge on me. These are really soft and cute, but really sheer. You’ll definitely have to wear tights/leggings underneath. I'm confused because I purchased a Medium, which they say is a 6, but it says I got a 10 (but is still labeled medium). Either way, I had really high hopes for these because they're so cute, but they're incredibly see-through, so I know I can't do squats in these unless I want the whole gym to see what color underwear I'm wearing. Pretty disappointed, I really wanted these to work out.